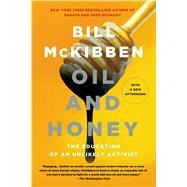 Bill McKibben is the author of more than a dozen books, including The End of Nature, Eaarth, and Deep Economy. He is the founder of the environmental organization 350.org and was among the first to warn of the dangers of global warming. He is the Schumann Distinguished Scholar at Middlebury College, a fellow of the American Academy of Arts and Sciences, and the 2013 winner of the Gandhi Prize. He lives in Vermont.